Sandy Lindblad, a Grass Valley contemporary pet portrait artist, has a unique style between impressionism and expressionism. 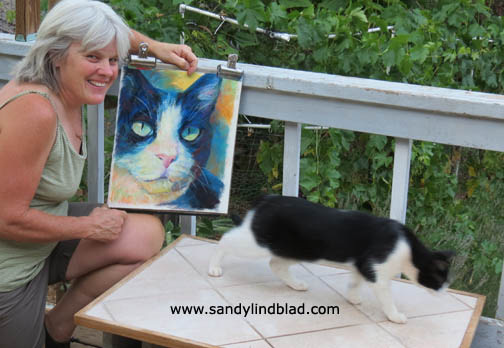 Sandy creates with passion, animals in such a colorful, expressionistic manner, catching the feeling of folks pets’ in art. When Lindblad uses pastels or acrylics, the animals come alive on canvas.